If the site goes down and you later do the verification, it can take 24 to 48 hours for the website to come back online. 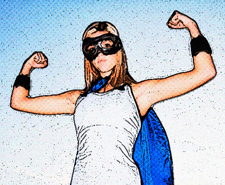 How To Avoid Being Taken Down By ICANN! ICANN is the acronym for the Internet Corporation for Assigned Names and Numbers. Starting in January of 2014, ICANN mandated that all registrars who are accredited by ICANN verify contact information from the Registrant listed with WHOIS as the contact for that website that takes place when new domains are registered or contact information has been modified. The non-profit organization known as ICANN has been charged to coordinate unique identifiers that are part of the domain name system or DNS as well as the IP addresses that are part of the Internet’s worldwide system. Most importantly, they make sure that this system is secure and stable by maintaining and enforcing the policies that have been established for the domain name system and therefore, the Internet. ICANN policies require that contact information of the domain registrant or any adjustments to that information be verified at WHOIS no later than 15 calendar days after the date of the change or addition. 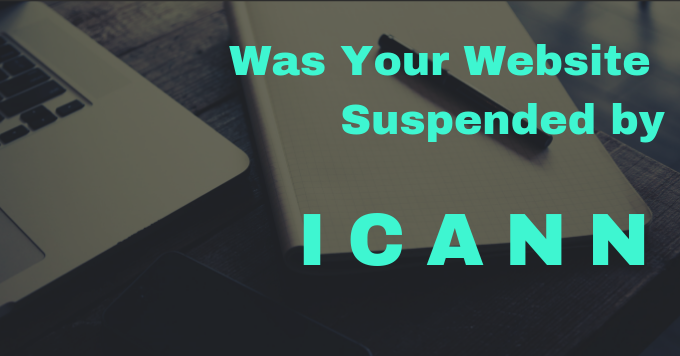 If this important information has not been provided to WHOIS within those 15 days, ICANN policy requires suspension of that website until information verification has been done. WHOIS services give public accessibility to information provided by those who register a domain, information that is provided upon initial registration and verified yearly. This is not done directly with WHOIS but through Registrars or Registries that are required to provide such information to WHOIS for those registered with their service. How do I remove the suspension of my domain? Getting a suspension on your website removed does not take place until the requested WHOIS information has been provided or changed and verified to the provider of your domain service. Once your information is updated, you will receive a new verification email – don’t ignore this email! When you verify the information that is shown, the suspension on your website will be removed. How long will it take for my website to be online again? In most cases, your website will be back to online operation and accessibility within 24 to 48 hours, which makes it so important to not ignore those email verification notices! If you want any additional information about ICANN or any of our web design services, just give Web Unlimited a call at (979) 696-2500! Web Unlimited – Exceptional Website Design Services!